This is the Rocky Mountains chapter from Lonely Planet’s USA guidebook. Welcome to America’s playground. Modern adventurers may plan casual expeditions over microbrews and organic burgers, but these lands are far from tamed. Vast mountain ranges re-main wild, largely thanks to the USA’s brilliant public lands system. Coverage includes: Colorado, Denver, Boulder, Northern Mountains, Central Colorado, Southern Colorado, Wyoming, Cheyenne, Laramie, Lander, Jackson, Cody, Yellowstone National Park, Grand Teton National Park, Montana, Bozeman, Gallatin & Paradise Valleys, Billings, Helena, Missoula, Flathead Lake, Whitefish, Glacier National Park, Idaho, Boi-se, Ketchum & Sun Valley, Stanley, Idaho Panhandle. What is a Country Guide? 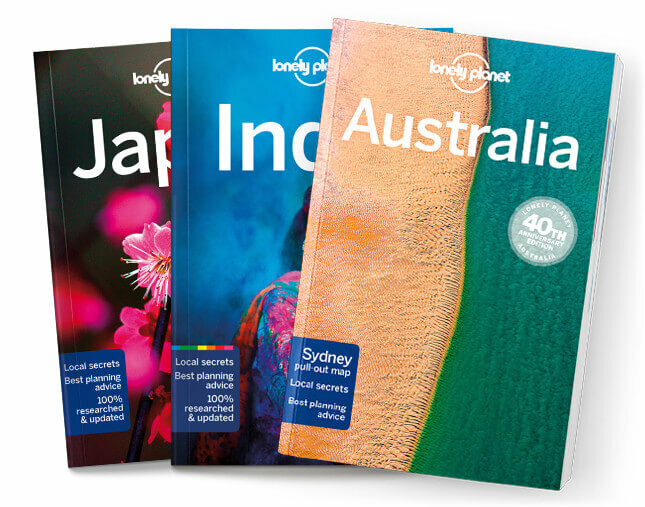 Packed with detailed pre-planning information, amazing experiences, inspirational images, city walks and the best local knowledge, these are our most comprehensive country guides, designed to immerse you in a culture, discover the best sights and get off the beaten track. Are you a poor college student who wants to travel the world? Register with Student Beans and get a discount. Don’t need the whole book? Choose just the chapters you want. PDF format only. Free standard delivery* via UPS Ground is automatically applied to all orders shipped within the USA over US$40 and over $50 to Canada. Find out more.